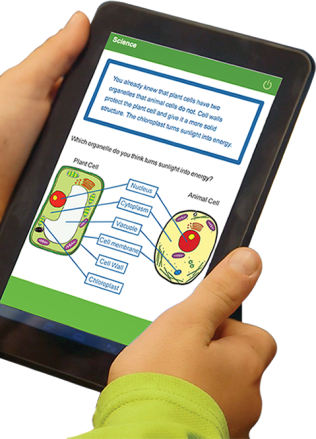 K-8 Cognitive Skills Science curriculum by MobyMax is based on transformative Touch Curriculum technology, which uses over 20,000 interactive manipulatives to engage students on a deeper level than traditional curriculum. Rather than simply reading textbook pages, Touch Curriculum gives students an immersive experience by dragging and dropping, repositioning, building, writing, creating, and more. blended learning environments, enabling students to discuss, learn and retain science at a deeper level through exploring and discovering science concepts with cognitive skill manipulatives. Incorporating these important cognitive skills not only leads to rigorous problems and better retention, but also develops the varied types of analytical thinking that students need to be successful in STEM disciplines. The platform accelerates personalized learning with systematic review of key concepts and science vocabulary. Formative assessment quizzes and comprehensive end-of-section tests provide detailed progress monitoring for teachers. MobyMax also allows teachers to create highly effective lessons for whole-class instruction and even offers a built in student response system. While Cognitive Skills Science was developed based on the Next Generation Science Standards (NGSS), the curriculum is also aligned to all state standards. MobyMax’s Cognitive Skills Science is an essential STEM resource for all teachers and starts students on the path to becoming effective problem solvers and critical thinkers. Worth a good look.